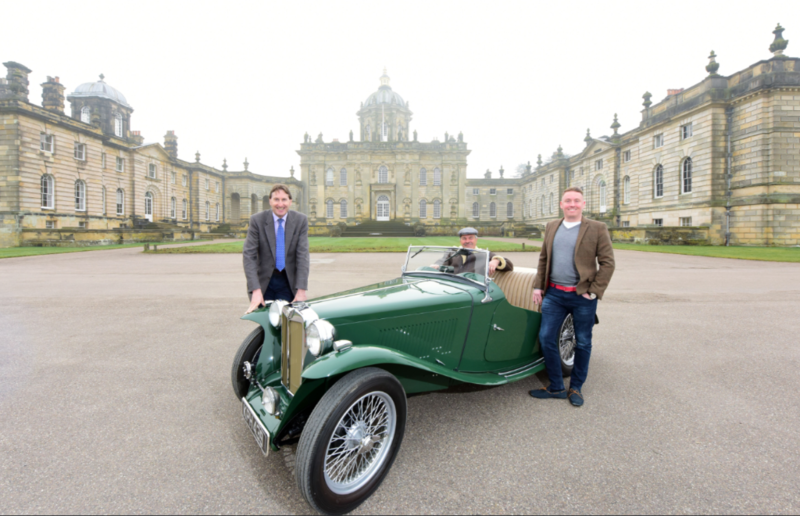 After a fantastic first-time event under Classic Shows ownership in 2018, we are delighted to announce that Castle Howard & leading classic vehicle events organiser Classic Shows have signed a multi-year agreement to run the Father’s Day Classic Car & Motor Show taking place at Castle Howard, York, North Yorkshire. This will ensure that this popular and family friendly event will run for years to come and in doing so, will cement the Father’s Day Classic Car & Motor Show at Castle Howard as one of the largest classic vehicle events in the North of England. The event attracted in excess of 5,000 visitors in 2018 and has since been extended into a second field to accommodate additional demand from vehicle exhibitors and trade stands. A number of new content items have also been announced including a new vintage, classic and modern classic club vehicle section, a full modern vehicle / dealership zone including displays of the latest models and with knowledgeable staff on hand to answer queries and arrange test drives, a craft tent and even rumours of an original London double decker bus! Matthew J Harvey, Director of Classic Shows said: “We are delighted to have entered into a multi-year agreement to run our popular Father’s Day Classic Car & Motor Show at the stunning Castle Howard. We have a fantastic relationship with John Hoy having worked together for many years to deliver similar events at Blenheim Palace and Knebworth Park and are excited to once again be working with John and his team at Castle Howard. Last year’s event saw a phenomenal response and with even more content planned for 2019’s event, there really is only one place to be this Father’s Day”. Offering a spectacular day of motoring heritage ideal for enthusiasts, day trippers and families alike, the Father’s Day Classic Car & Motor Show will feature an exciting display of vintage, classic and modern classic vehicles displayed on the basis of age (pre-60s, 60s, 70s, 80s, 90 – 04) and type (sports and convertibles, kit, custom and replica, American and electric vehicles). Expect to also see a variety of club stands from the likes of the Mercedes Benz Owners Club, Stag Owners Club, Ford Cougar UK, Northern Monkeys, City of Leeds MG Club, Yorkshire Supercars, Jaguar Yorkshire Ridings, Ebor Saab Club, Rover 75 MG Club, South Yorks TVR, Club Lotus, MX5 Owners Club and many more. There will also be a full vehicle concours overseen by leading commentator Richard Lee who is well known across the northern classic vehicle scene. Awards will be presented for a range of categories and culminating in the Pride of Ownership, Club of the Show and Car of the Show awards. Each participating vehicle exhibitor will also receive a complementary commemorative plaque. Ticket prices for the Motor Show have been held at the 2018 levels and reflect the standard Castle Howard admission price of just £11.95 per adult, £11.00 per senior, £7.95 per child (4-16) and parking is free. 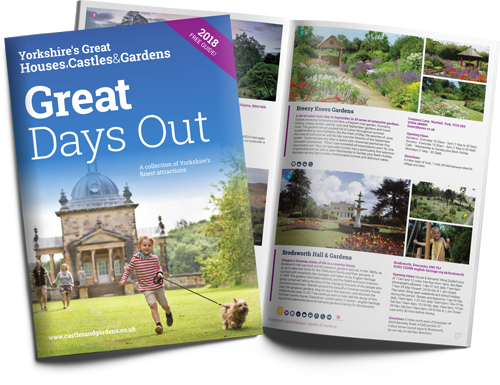 For this price visitors have access to the event plus the full Castle Howard grounds, formal gardens and courtyard and for a small additional fee, access internally inside Castle Howard itself. Visitors can purchase tickets upon arrival at the event or in advance via the Classic Shows website – www.classicshows.org/events/ or via the Castle Howard website www.castlehoward.co.uk. For details of how to exhibit, see below. calling the office on 01484 667776. Alternatively, exhibitors are welcome to arrive on the day and pay the standard visitor admission prices (no discounted tickets available on event day). Small / trade autojumble pitches from £30. Premium trading pitches and sponsorship opportunities are also available – phone the office on 01484 667776 for details. Leading vehicle event organisers Classic Shows have been running specialist car shows for over 30 years having organised over 1,000 events since 1985. Other Classic Shows’ events nearby include the Cheshire Classic Car & Motorcycle Show at Capesthorne Hall, Macclesfield, SK11 9JY (3 events: Sunday 26th – Monday 27th May, Sunday 21st July and Sunday 25th August), the North East Classic Car & Motorcycle Show at Hardwick Hall Hotel, Sedgefiled, TS21 2EH on Sunday 23 June and the Stonyhurst Classic Car & Motorcycle Show at Stonyhurst College, Clitheroe, BB7 9PZ on Sunday 11th August 2019. Classic Shows will run 22 events this year across 24 event days – see http://www.classicshows.org for full details. The event is located within the stunning grounds of Castle Howard, one of only ten ‘Treasure Houses of England’ overlooking both the Castle Howard dwelling and formal gardens.